Christine Hall and Pete Bowman scored 1.20 masterpoints with a ★64.2%★ game at St. George Bridge Clubs. See full results of this game. Joan Geritz and Mary Juers scored 0.34 masterpoints with a 51.52% game at St. George Bridge Clubs. See full results of this game. Christine Hall and Pete Bowman scored 0.55 masterpoints with a 57.18% game at St. George Bridge Clubs. See full results of this game. Scott Woods and Pat Bramlage scored 0.25 masterpoints with a 52.08% game at St. George Bridge Clubs. See full results of this game. Shawn Darby and Richard Glass scored 0.48 masterpoints with a 51.62% game at St. George Bridge Clubs. See full results of this game. Richard Glass and Rick Izard scored 0.44 masterpoints with a 56.79% game at St. George Bridge Clubs. See full results of this game. Kay Besteman and John Besteman scored 0.48 masterpoints with a 54.17% game at St. George Bridge Clubs. See full results of this game. Martha Arrington and John Arrington scored 1.12 masterpoints with a ★65.53%★ game at St. George Bridge Clubs. See full results of this game. 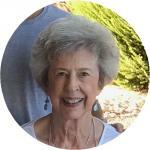 Joan Geritz and Mary Juers scored 0.98 masterpoints with a 57.48% game at St. George Bridge Clubs. See full results of this game. Scott Woods and Christine Hall scored 0.49 masterpoints with a 54.85% game at St. George Bridge Clubs. See full results of this game. Dru Obryan and Kay Besteman scored 0.40 masterpoints with a 49.93% game at St. George Bridge Clubs. See full results of this game. Barbara Nielsen and Mary Kay Imdieke scored 0.36 masterpoints with a 51.14% game at St. George Bridge Clubs. See full results of this game. Scott Woods and Pat Bramlage scored 0.77 masterpoints with a 58.23% game at St. George Bridge Clubs. See full results of this game. Christine Hall and Pete Bowman scored 1.10 masterpoints with a ★61.11%★ game at St. George Bridge Clubs. See full results of this game. Jane Meginnis and Lawrence Hirsch scored 0.28 masterpoints with a 48.81% game at St. George Bridge Clubs. See full results of this game. Kay Besteman and Pete Babnis scored 0.40 masterpoints with a 55.95% game at St. George Bridge Clubs. See full results of this game. Christine Hall and Pat Bramlage scored 0.25 masterpoints with a 54.36% game at St. George Bridge Clubs. See full results of this game. John Arrington and Martha Arrington scored 0.42 masterpoints with a 56.82% game at St. George Bridge Clubs. See full results of this game. Barbara Nielsen and Mary Kay Imdieke scored 0.42 masterpoints with a 55.87% game at St. George Bridge Clubs. See full results of this game. Mary Kay Imdieke and Stephanie Johnson scored 0.28 masterpoints with a 48.3% game at St. George Bridge Clubs. See full results of this game. Darlene Macdonald and Carolyn Parmelee scored 0.34 masterpoints with a 51.82% game at St. George Bridge Clubs. See full results of this game. Darlene Macdonald and Carolyn Parmelee scored 0.28 masterpoints with a 51.62% game at St. George Bridge Clubs. See full results of this game. Carolyn Jentzer and Maribeth Powell scored 0.28 masterpoints with a 51.39% game at St. George Bridge Clubs. See full results of this game. Richard Smith and Tom Jensen scored 1.00 masterpoints with a ★62.04%★ game at St. George Bridge Clubs. See full results of this game. 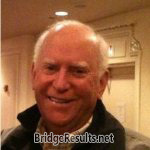 Richard Glass and Rick Izard scored 0.72 masterpoints with a 59.72% game at St. George Bridge Clubs. See full results of this game. John Arrington and Martha Arrington scored 1.12 masterpoints with a ★62.12%★ game at St. George Bridge Clubs. See full results of this game. Ann Matthews and G Wayne Boedecker scored 2.19 masterpoints with a ★60.52%★ game at St. George Bridge Clubs. See full results of this game. Christine Hall and Pete Bowman scored 1.40 masterpoints with a ★65.71%★ game at St. George Bridge Clubs. See full results of this game. Joan Geritz and Mary Juers scored 1.20 masterpoints with a ★63.18%★ game at St. George Bridge Clubs. See full results of this game. Barbara Nielsen and Mary Kay Imdieke scored 1.20 masterpoints with a ★64.58%★ game at St. George Bridge Clubs. See full results of this game. Christine Hall and Pete Bowman scored 0.60 masterpoints with a 57.7% game at St. George Bridge Clubs. See full results of this game. Mike Ainbinder and Kay Besteman scored 0.32 masterpoints with a 48.98% game at St. George Bridge Clubs. See full results of this game. Christine Hall and Pete Bowman scored 1.10 masterpoints with a 53.47% game at St. George Bridge Clubs. See full results of this game. Scott Woods and Dru O'Bryan scored 0.32 masterpoints with a 54.23% game at St. George Bridge Clubs. See full results of this game. Sherry Mann and Ann Matthews scored 0.36 masterpoints with a 52.55% game at St. George Bridge Clubs. See full results of this game. Barbara Nielsen and Mary Kay Imdieke scored 0.25 masterpoints with a 51.39% game at St. George Bridge Clubs. See full results of this game. Joan Geritz and Mary Juers scored 0.64 masterpoints with a 54.55% game at St. George Bridge Clubs. See full results of this game. John Arrington and Martha Arrington scored 0.45 masterpoints with a 52.53% game at St. George Bridge Clubs. See full results of this game. Christine Hall and Pete Bowman scored 1.50 masterpoints with a ★63.25%★ game at St. George Bridge Clubs. See full results of this game. Scott Woods and Pete Bowman scored 1.20 masterpoints with a ★69.58%★ game at St. George Bridge Clubs. See full results of this game. Christine Hall and Pete Bowman scored 0.45 masterpoints with a 55.36% game at St. George Bridge Clubs. See full results of this game. Scott Woods and Pat Bramlage scored 0.90 masterpoints with a ★60.58%★ game at St. George Bridge Clubs. See full results of this game. Darlene Macdonald and Carolyn Parmelee scored 0.27 masterpoints with a 48.68% game at St. George Bridge Clubs. See full results of this game.